It’s official, well it’s been official, it’s finally grilling season in Wisconsin. Not that I haven’t been grilling all year long, but the weather is finally getting a lot more nice in Wisconsin. So this past Mother’s day weekend was full of cooking for my loved one(s). 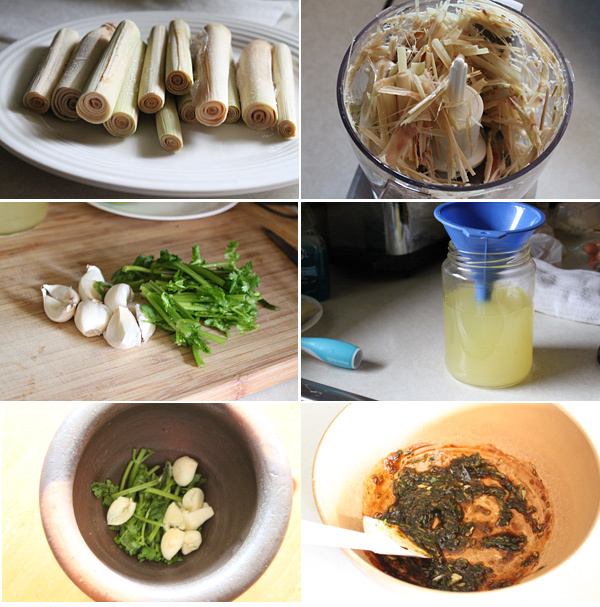 As we progressed into the weekend, I decided to use up a bag of frozen lemongrass I had. I’m trying to purge my freezer and use up lots of yummy leftovers. As I was thinking of what to make with the lemongrass (I always have Thai on my mind when it comes to lemongrass), I decided on making a lemongrass infused oil, and use that for grilling a spatchcocked whole chicken. The lemongrass infused oil was phenomenal, but a simple marinade was also created to make this Thai lemongrass chicken even better. Heat a small pot on medium-low heat, add in the oil, and add in the shredded lemongrass and garlic. Cook this on medium low heat for about 40 minutes. Then strain the oil into a container. Reserve for grilling, and for later use. The end result is really, really great chicken. 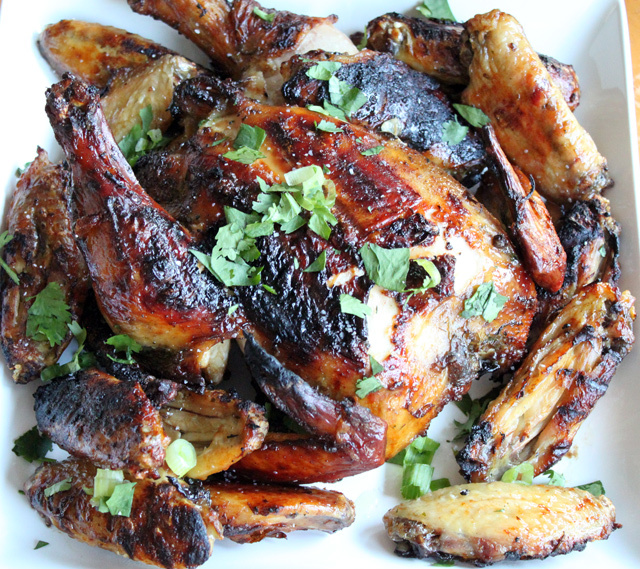 You are left with not only a garlic flavored chicken, but one that has the subtle hints of a lemon-lime and ginger flavor from the awesome lemongrass infused oil. It was a hit, and a great start to the weekend. Hope you enjoy! 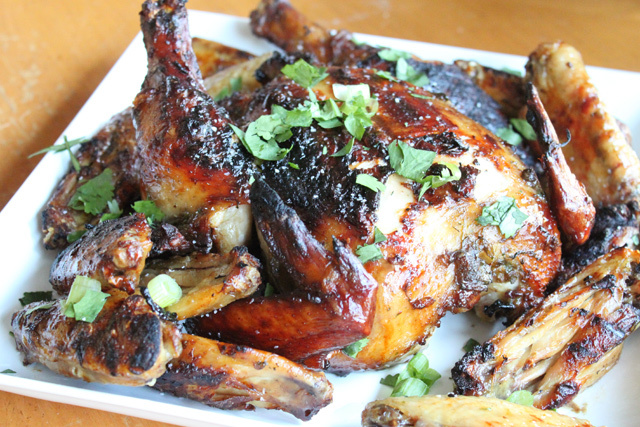 I made this with chicken thighs, so the marinade can get into the smaller pieces of meat a little more. It turned out great. Great to hear, thanks Eszter!